A rendering shows the David Adjaye-designed, UK Holocaust Memorial. 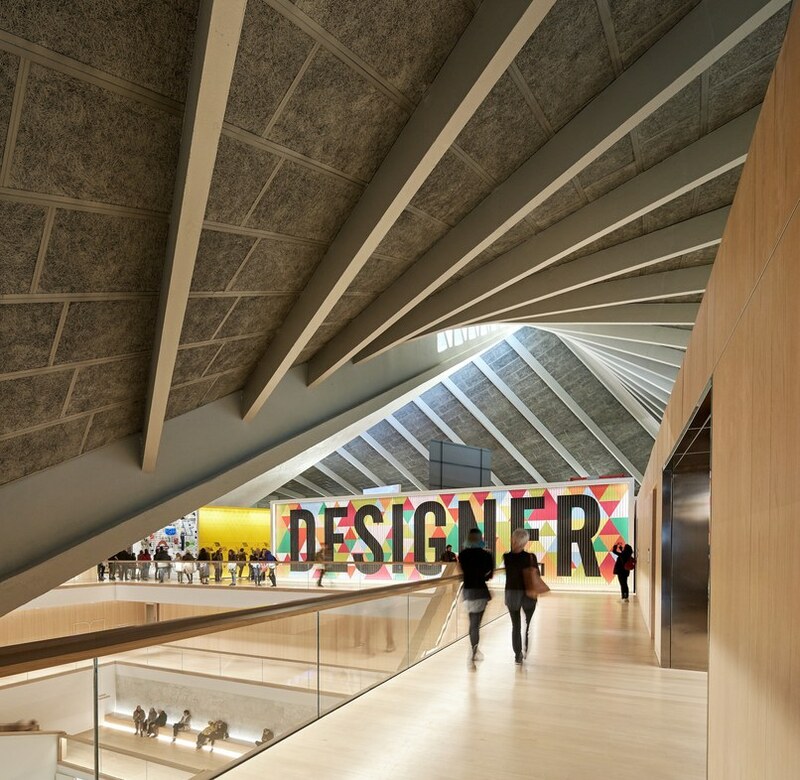 In this star-studded age of architects, Sir David Adjaye has long claimed center stage, and now the London Design Museum is set to debut “David Adjaye: Making Memory,” devoted to seven of his monumental buildings and memorials. Starting next month (February 2 through May 5) viewers can garner a close-up view of the British-Ghanaian architect’s richly layered conceptual approach to structures such as the Smithsonian National Museum of African American History and Culture, as well as his proposals for major memorials. What makes this show so special is that it reveals Adjaye’s distinctive talents in forsaking the very notion of one-dimensional steel- and glass-clad towers. In eschewing static structures frozen in time, he serves up complex, dynamic projects that often reflect troubled eras ranging from the troubling chapters of African-American history, to the horrors of the Holocaust. Adjaye’s seven buildings were all hand-selected by the architect, whose firm today quite literally spans the globe with offices in London, New York, and Accra, along with umpteen projects under way in a host of countries. The very breadth of his practice today is remarkable in that he founded his office a scant two decades ago. Adjaye’s models, architectural plans, and more are set within the context of iconic monuments and memorials beginning with the Acropolis and continuing straight through to the Turner Prize–winning conceptual artist Gillian Wearing’s statue of the suffragette Millicent Fawcett, located in the center of Parliament Square. One entire gallery contains a replica library from Gwangju River Reading Room in South Korea. If that’s not enough, specially commissioned video interviews practically bring the esteemed architect right into the very museum. In developing a conceptual tack, Adjaye takes his design cues from both culture and history. A case in point: His proposal for the Coretta Scott King and Martin Luther King Jr. Memorial in Boston underscores a particular time in history and offers up opportunity for reflection. The entire surface of the memorial will be engraved with text from their speeches. And Adjaye takes the very font of the text to a new level in that the African-American artist Adam Pendleton will reinterpret it hand in hand with the type designer David Reinfurt. Even the presentation of this show is ingenious. Consider the gallery dedicated to Adjaye’s National Cathedral of Ghana in Accra, where a veritable canopy comprised of richly patterned Ghanaian umbrellas references the religious building’s undulating roof and the very culture that sparked the building’s design. A visit to this carefully curated exhibition should be on the must see list of architecture buffs right into its conclusion in May.